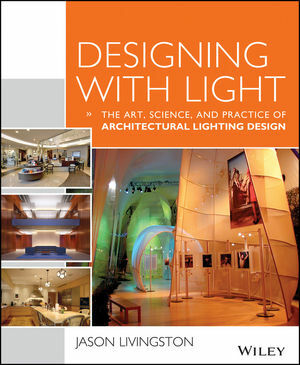 Designing With Light: The Art, Science, and Practice of Architectural Lighting Design is a comprehensive introduction to the intelligent use of lighting to define and enhance a space. The book explores all aspects of the process, including aesthetics, technology, and practicalities, in a clear, concise manner designed to provide the reader with a full working knowledge of lighting design. Color illustrations throughout demonstrate the real-world effects of the concepts presented, and the companion website offers video animations and exercises to better illuminate the art and science of lighting. The book addresses the considerations that should be a part of any designer's process, and provides thorough guidance on meeting the various demands with smarter design. The book also contains an entire chapter on building and energy codes, as well as practical guidance on photometrics and calculations. Lighting can make or break an otherwise well-designed space, so designers need the background to be able to think intelligently about illumination factors during all stages of the process. With comprehensive coverage and thorough explanation, Designing With Light is a complete resource for students and professionals alike.